Vote Brian Higgins in #NY26. Here’s Why. Election day is coming up, and I generally give you some BS half-assed “endorsements” of candidates who, in my opinion, deserve your vote. Typically, I don’t do that until a day or two before election day itself, but the race for the 26th Congressional District is not remotely typical. I don’t agree with Brian Higgins on every single issue because he can be sometimes more conservative than I, and because he can sometimes be overly cautious on waterfront issues. By way of example, I am disappointed that he is opposing the construction of places to live and things to do on certain portions of Buffalo’s Outer Harbor. My service in Congress is everything about Buffalo and Western New York. I’ve learned that when you do good for your community, you’re doing good for your country, because the most important part of my country is my community. While Brian Higgins represents the best that western New York has to offer, his opponent is the polar opposite. Kathy Weppner is nothing more than a craven cartoon character. Her deep paranoia and hatred, willingness to promote and advocate for utter and complete nonsense, ease with which she lies and makes things up, and mindless regurgitation of whatever gibberish she reads on the right-wing internet renders her palpably unfit for public office. Below is a compendium of every post I’ve written about Kathy Weppner since she began her campaign. As a political meme for this season, she has been a bottomless pit of unfortunate material. What Kathy Weppner represents is the absolute worst of what western New York has to offer; reactionary thought, paranoia, a tendency to lie and to promote others’ lies, a provincial and narrow mindset, and above all – ignorance and misinformation. In the 26th, incumbent Democrat Brian Higgins is likely to coast to re-election, as well. This is especially true thanks to the fact that his opponent is not only going to be a tea partier, but is – quite literally – a low-information WBEN caller. “Kathy from Williamsville” is going to take her fact-free jingoism on the campaign trail. She is a walking, talking anti-Obama chain email, and anyone reporting on her should be sure to have Snopes queued up on their mobile browsers. Seriously – there will be no point covering her campaign if you’re not able immediately to vet her pronouncements and cross-examine her on the inevitable fabrications and fantasies she’ll discuss. After all, she has a list of known communists, doesn’t seem to be ready or willing to represent Muslim residents of the 26th (hint: it’s the primitive blood lust), has declared “white guilt” to be “dead”, warned against a hyperinflation that never came, and – like Ronald Reagan – opposes Medicare. That one will be fun. Take this for example. This was posted (publicly) to Weppner’s own Facebook page just this week. For some reason it wasn’t good enough for her campaign, but this is a pretty representative insight into the mind of a person who wants to go to Washington and represent the people of a diverse NY-26. To start out with, I absolutely detest these sorts of ignorant, uninformed violations of Godwin’s Law. Simply put, the United States is not at any risk of becoming a Nazi state, and anyone who thinks it is, is a moron. But let’s examine the specifics; most basic is the lie – oft-repeated by demagogues and charlatans – that the Nazis killed capitalism in Germany. Nothing could be further from the truth, as National Socialism was, at least in part, a corporatist movement where the party, the military, and big industry were united in goal and deed. It wasn’t Marxist socialism that drove Nazi ideology – quite the opposite, as the Weimar-era street battles with the Spartacists can attest. Instead, it was a nationalist reaction to Marxism’s internationalism. The goal wasn’t a proletarian utopia, but a pure and strong Germany where the individual was subjugated to the state. Any notion that Naziism is remotely similar – much less identical – to the kind of western pluralist liberalism that people like Weppner so oppose – is as laughable as it is wrong. Prayer was taken out of schools? Hitler didn’t just stop there – he was openly hostile to all organized religion, because it represented a singular challenge to Nazi hegemony and the totalitarian deification of Hitler himself. In the United States, we have no such action taking place, and prayer is not allowed in school because of the prohibition against a government establishment of religion; it’s in the Constitution. Students, however, are perfectly within their rights to initiate spontaneous prayer in school at any time. It just can’t be something the school organizes. Like all things, under Hitler’s totalitarian state, all school curricula and administrations were subjected to the will of the party. Private and Catholic schools did exist, but were under constant scrutiny. No such thing happens in the US today. “Socialized medicine” didn’t lead to the extermination of the disabled – that was the Nazi sterilization and eugenics program – one that was quite popular in the United States in the early 20th century, as well. Every single western industrialized nation has some form of universal health insurance – some of it socialized – yet extermination of the old, sick, and disabled is not part of any of those programs. This is a lie and a scare tactic, used by depraved people to misinform voters. I have visited and lived in totalitarian dictatorships in my life. While some may find fault with our government using signals intelligence and other surveillance methods to try and keep tabs on real and suspected terrorists, it is not the same as a government using secret police, informants, and SIGINT to maintain a totalitarian purity of thought. We don’t have political police out there manning checkpoints to make sure where you’re supposed to be, and limiting what you think, say, or with whom you associate. Having experienced true totalitarianism, I can tell you that my possession of a passport, my ability to write this blog, my right to say and think what I please, and my right to express my political opinion all run counter to any half-brained notion that this country has devolved into some sort of fascist totalitarian nightmare. Anyone who suggests otherwise has automatically disproven their own point: if we truly were that totalitarian dystopia, you’d have no ability to express that fact, and you’d be arrested, subjected to a show-trial, and then exiled or killed. Government spending in Germany skyrocketed because they were planning to take over the world through endless war. Germans have always been very ecologically conscious – this pre-dates and post-dates Hitler, and is part of the German psyche. While Nazis and Communists alike purported to love and protect the natural environment, that doesn’t mean protecting the environment is a totalitarian aim. Finally, Hitler actually eased gun restrictions, but only for non-Jews. The US has a hodgepodge of state and federal gun laws, none of which have disarmed anyone based on religion. The copying and publication of that passage above – alone – disqualifies Kathy Weppner from public office. But there’s so much more. Here’s a list of just some of the abhorrent things that this candidate has done and said since announcing her campaign. She – and the people who endorse her – are an insult to the intelligence of western New Yorkers. Back in the early Spring, the Buffalo News’ Jerry Zremski picked over some of the more malodorous parts of the Weppner mindswamp, and asked her for an interview. She declined, and agreed instead to answer via email. The result was a glorious, factual recitation of some of the things she’s promoted and said, and her weak explanations for them. (Weppner Vetted 3/24/14) Much of it surrounded her very outspoken involvement in the “birther” nonsense, questioning whether Barack Obama was born in Hawaii, or part of some half-century-long conspiracy to overthrow America. The candidate’s response to Zremski’s article was jaw-droppingly horrible. (Kathy Weppner Tries to Explain; Fails 3/25/14) I wouldn’t have believed it if I hadn’t seen it myself. The passive-aggressive whining about being on vacation, and the declaration of war on the librul meediya set the tone for the next several months’ worth of self-pitying nonsense. Much of Zremski’s piece focused on Weppner’s enthusiastic dalliance with Obama birtherism. Among Weppner’s defenses was that she was just asking questions, like everyone else, about Obama’s birthplace, along with other unpersuasive, halfhearted denials about being part of some wider birther movement. A quick listen to an online radio show on which Weppner appeared reveals not only that she was more than just “asking questions”, she was an active believer in the lunatic rantings of the fringe dead-ender birther movement. (How Not To Be A Birther, By Kathy Weppner 3/26/14). Much of the information that the Buffalo News and I had been using to vet Weppner came from recordings of her own WBEN radio show, as well as materials that she published on her blog “str8talk.wordpress.com”. Up until late March, that site was still intact. After Zremski’s piece, she began selectively deleting certain passages, such as a racist “White Guilt” article she reprinted, verbatim, without comment. Soon, she took the entire site down altogether, and redirected the url to her campaign website. It was, for a time, still visible via the waybackmachine. Finally, by 3/31, her campaign had successfully petitioned Archive.org to remove her entire internet archive from its site, and we are now left with not a single piece of evidence that she ever published a blog or had a radio show. Despite the fact that she proudly touts her WBEN radio show on her campaign bio, you’ll be hard-pressed to find any lasting evidence of its existence. (Kathy Weppner: So Proud of Her Radio Program She Deleted All Evidence of It 3/31/14). All we’re left with now is transcripts of her several calls to the Rush Limbaugh radio program. Everyone knows who Rush Limbaugh is – he’s the fascist, racist, drug-addled, misogynist radio troll who spits hatred on a daily basis over the publicly owned airwaves. It was her unbelievable deletion of her entire pre-campaign radio and web history that led me to track down what was left, before she got rid of that, too. 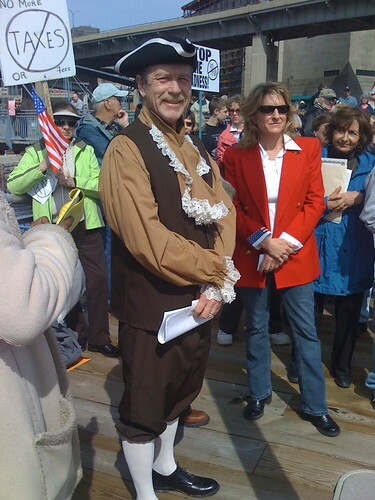 In 2011, Weppner called Limbaugh to vent about how people need to start attending tea party rallies, or else we’d have “nothing left”. Also, her kids are serving in the military to protect things like Chris Lee and sovereign debt. It was a quick and mindless recitation of a couple of dopey talking points generating no discussion whatsoever. (Kathy Weppner: Why Are American Troops Fighting for Shirtless Chris Lee? 4/2/14). 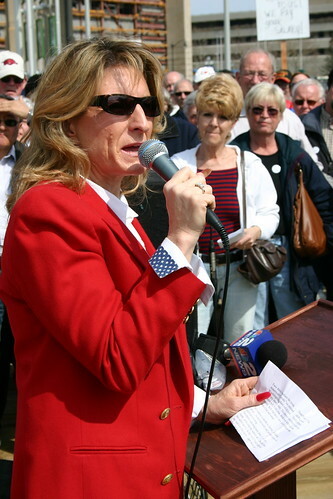 Weppner called Limbaugh in July 2008 to ramble off a litany of groups whom she resents. You know, we have ended up with a society where all the people that work in government, all the politicians, the teachers, the firemen, the policemen, all of our state governments, municipalities, and we are in a very heavily governed area here in western New York, all of them are living inside the castle walls, and all of us, everybody else is living outside of the castle walls. And all of the rules they make protect them, where our people, the public employee, they can retire at 55 here and they live to 85. Yeah! To hell with our first responders and educators! Good talk, Kathy! (Kathy Weppner on Whom She Resents 4/4/14). There was another call to Limbaugh in 2009 – just a month after Obummer overthrew ‘Murrka, and Weppner threatened to go Galt because Barry and his cadres were going to just take everything anyway and give it to the lazy takers, (ostensibly the aforementioned teachers, firemen, policemen, and lazy blacks). Meanwhile, I learned that even physicians who receive Mexican medical degrees can earn a tremendous amount of money here in the United States. Weppner. What a card! (Kathy Weppner on Going Galt 4/4/14). (I posted the actual audio here on April 30th). Mrs. Weppner wrote an amazing piece blasting the Common Core, and calling for the immediate abolition of the Department of Education. Unfortuately, it needed some corrections. (Kathy Weppner’s Common Core Piece 5/23/14). Here, our plucky tea partyist campaigns quite literally on the graves of our fallen heroes. (Kathy Weppner, Solving All the Problems 5/28/14). The month of June was pretty quiet. In July, a campaign volunteer who was also managing some of Weppner’s social media, Laura Yingling, sent an email to the campaign’s list, seeking “not so nice” photos of “vacant homes, urban blight, anything I can use against Brian Higgins on Twitter and Facebook”. (Weppner Campaign Seeking “Not So Nice” Incidental Blight Photos 7/17/14). This led to a hilarious Twitter meme “#HigginsBlight”, showing off all the wonderful things that have happened in Buffalo and WNY since Higgins came to office. A few days later, Weppner reprimanded Yingling for this idiotic idea. (Weppner Disavows 912 Blight Exploitation Strategy 7/22/14). At the end of July, Weppner inexplicably chose the Peace Bridge as a backdrop to spout a bunch of hate-filled rubbish about a crisis of migrant children crossing the border. She went so far as to Tweet that Guatemala was sending us their “infected poors”. (Kathy Weppner and the “Infected Poors” 7/30/14). When the “infected poors” thing made national news and became embarrassing, Weppner blamed the help, (Laura Yingling again), and posted pictures of “Mariachi Kathy” in a sombrero to prove that some of her best friends are infected poors. (Shorter Weppner: #BlametheHelp 7/31/14). August was also quiet, but campaign season sort of starts in earnest in September. The civilized world watched in horror as radical Islamist murderers from the ISIS death cult slaughtered American and British hostages. Not one to let a beheading go by without a fundraising plea, Kathy Weppner displayed her shocking lack of propriety and morality, and did just that. (Kathy Weppner’s Moral Depravity 9/4/14). This insensitive exploitation of tragedy was becoming a pattern for the endorsed Republican candidate. Later that month, Weppner touted the fact that she had received a participation award – a prize for just showing up – from some obscure New Jersey-based school choice lobby that no one’s ever heard of. (Kathy Weppner gets Participation Award 9/24/14). The irony, of course, is that right-wing nutjobs like Weppner detest what they perceive to be participation awards and social promotion in our public schools. It makes the kids soft, don’t you know? The League of Women Voters put out the results of candidate questionnaires, and Weppner’s was just wonderful. Any WBEN caller could have written it, right down to the throwaway, casual parenthetical Hitler reference. (Weppner and the Parenthetical Hitler 9/30/14). At least we know she’s a patriot. The more desperate Weppner became, the more hateful and odd her pronouncements. October 1st, Weppner declared that Ebola needed to be dealt with medically, not politically. In the very next breath, she politicized Ebola. (Cognitive Weppner Dissonance 10/1/14). She decided to hammer Brian Higgins for not doing enough to stop the growth or territorial expansion of ISIS. She claimed that you should “change your congressman” because, presumably, she’d be appointed to the very same committees as Higgins, and by gosh, she’d get the anti-jihadist job done! The problem for Weppner goes back to her careful-then-comprehensive scrubbing of everything she ever wrote or said before March 2014. It’s disingenuous, at best, to attack Brian Higgins for past acts or omissions of word and deed, when you’ve deprived everyone of the ability to do the same with you. Certainly if ISIS was such a clear and present danger, Weppner’s own radio show or blog must be replete with warnings and pronouncements about this threat? (How Did Kathy Weppner Warn Us About ISIS in 2013? 10/9/14). I highlighted the insanity of some of what Weppner was pimping in this post (Kathy “Purple Penguin” Weppner 10/10/14). She is – and will always be – the Snopes candidate; whenever she mouth some weird nonsense, you have to check Snopes first and determine just how wrong or misguided she is. Is that who should be sent to Washington as a legislative representative – someone so casually loose with reality and facts that you have to check what she says against an urban legends debunking site? Weppner’s so-bad-they-must-be-joking media allies defamed the League of Women Voters for supposedly succumbing to Brian Higgins’ scary pressure, deciding to not hold a NY-26 debate. The problem is, the local LWV isn’t holding any congressional debates in WNY this season. (The League of Women Voters Would Like Everyone to Stop Lying, please 10/17/14). It’s come to right-wing lunatics denigrating one of the most venerable voting organizations as a bunch of “libtards” and “demoncrats”, because that’s a normal way to talk. In a follow-up to the abysmally written “Stop Common Core” piece that Weppner released in May (above), I red-lined an equally bizarre Ebola/ISIS thing she posted on her website. (Kathy Weppner on ISIS and Ebola 10/23/14). That same day, as Canada was reeling from a terrorist attack against its Cenotaph and Parliament, resulting in the slaughter of a serviceman guarding the War Memorial, Weppner took that as an opportunity to idiotically discuss Canada’s gun laws. (Weppner Disrespects Canada’s Fallen 10/23/14). It was, for her, typically and shamelessly disrespectful. But there’s one thing Weppner doesn’t regret: her repeated questioning of whether President Obama was born in the United States. There’s only about one week left of this shambolic campaign, and I’m sure we haven’t seen the last dumb pronouncement. But given all of the above, it’s clear that you simply don’t let a low-information WBEN caller run for elected office. What vision has she offered, other than poorly articulated, paranoid hatred? The removal of the “str8t talk” archive tells you all you need to know about a tea party candidate who refuses to answer for the things she’s said or done before she was involved in a campaign. If the stuff she’s said and written during the campaign, as chronicled above, is as bad as that, you can image what sort of insanity lurked in those archives. Brian Higgins deserves re-election because he’s a strong champion for Buffalo and WNY. That, and his opponent is not deserving of consideration, much less support. Caveat: Artvoice does not do political endorsements. Nothing written in this post should be interpreted, construed, or cited as an endorsement by the owners or editors of Artvoice itself. This endorsement is mine alone. In addition, because of how prolific Weppner’s campaign has been in putting out horrible things, some have accused me of being a paid blogger for the Higgins campaign. This is categorically false and defamatory. It presupposes, of course, that no one could possibly support a Brian Higgins or a Democrat unless they were on the take – an accusation so despicably sleazy that it requires no response. In any event, I do not know whether Higgins has ever paid for an advertisement in Artvoice, nor would I be in a position to know. I am an independent contractor and have no involvement or employment with Artvoice or its advertising or editorial staff. I can also state unequivocally and unreservedly that Higgins, his staff, and his campaign have never paid me in money or favor, ever. Former Higgins challenger and tea party activist Mike Madigan wrote an article for some website, claiming that the “League of Women Voters’ Mission [was] Subjugated to [Congressman Brian] Higgins’ Desires“. The idea is that incumbent congressman Brian Higgins is so fearful of “debating” Kathy “infected poors” Weppner, that he somehow strong-armed the League into not scheduling a “debate” between the two candidates. Firstly, the League of Women Voters of Buffalo Niagara doesn’t do “debates”. What it does is host candidate forums, which it calls “meetings”. They’re not meant to be a way for candidates to debate each other, rather an opportunity for candidates to answer questions about relevant issues posed to them by people in the audience. In years past, the organizers circulate index cards so audience members can write questions down for the moderator to ask. Recently, the League has stopped doing congressional forums altogether. There was never a forum scheduled for the NY-27 race between Chris Collins and Jim O’Donnell, nor was one ever set up for the NY-26 race between Higgins and Weppner. Weppner partisans have accused Higgins of not wanting to debate Weppner – some went so far on the radio to call Higgins a “sissy”. Higgins, for his part, has debated his challenger in every available race, and this year is no exception. There will be a debate at St. Joseph’s Collegiate Institute later this month, so the Higgins-sissy meme is ridiculous. Madigan made wild, flailing claims about Higgins being unwilling to “stand up to a strong female opponent”, and that unnamed “political observers” (read: Madigan) think that this informs Higgins’ “fear of a debate”. With Weppner’s campaign teetering between non-entity and joke, suggestions of Higgins being a-feared of Weppner is absurd. The notion that he would somehow force the League to not only cancel the candidate meeting for NY-26, but also the one for NY-27 is likewise a complete fiction. The writer of the article in the Buffalo Chronicle didn’t check facts with the League. The article contains inaccuracies. We will respond to the article soon. Thank you for your interest. Incidentally, I asked the woman at the League with whom I spoke whether it was true that the reason why there is no forum for NY-27 is the same reason why one was never scheduled for NY-26. She replied that the reason was the same. Congressional candidates were not invited to the forum that was scheduled in Amherst and noted on the League of Women Voters of Buffalo/Niagara website. Amherst is located in the 26th congressional district. We have limited volunteers and resources. However, both Congressional candidates have responded to the League’s Online Voters Guide powered by Vote411. We encourage people to go to http://www.lwvbn.org. and read the responses of both candidates to the questions we posed. The League’s printed 2014 Voters’ Guide will be available in public libraries and throughout Erie and Niagara County early next week. It will have the responses to the first question for each county and state office as well as pro and con arguments for the three New York State ballot proposals on this year’s ballot. Step 1: See what appears to be regurgitated, unvetted nonsense likely spreading rampant through the fascist blogosphere in order to assail the imminent destruction of ‘Murrka by n0bummer and the Alinskyite cadres. Step 2: Not being privy to the rampant dementia infecting the idiot fasict blogosphere, Google it and find who’s talking about it. Step 3: Be a curious and intelligent person, and try to get to the truth. Step 4: Find out that the whole fascist outrage is not only false, but damningly critical of an attempt to make kids feel comfortable in the classroom. In other words: based on evil. How Did Kathy Weppner Warn Us About ISIS in 2013? Remember how morally depraved Kathy “Infected Poors” Weppner tried reprehensibly and crassly to fundraise over the severed heads of American journalists murdered by “ISIS”? She’s tried to make this into an issue, but as with most things she touches, she inadvertently reveals her own fundamental ignorance about everything. This is why you don’t give WBEN callers attention, or run them for office. In a radio spot airing now, which sounds like the rapid-fire disclaimer at the tail-end of a used car commercial, Weppner claims that if you want to “defeat ISIS” you have to “change your congressman”; i.e., replace Higgins with Weppner. 1. Higgins is a minority member of the foreign relations committee. It is led by – its agenda set by – Republicans (specifically, Ed Royce R-CA). If there is blame, it rests not with Higgins, but with the whole of the GOP-led committee. 2. There is no guarantee that, if she were to win, Weppner would be appointed to the same committees as Higgins. Her entire argument about “change your congressman” is premised on that misconception. Is she ignorant about how Congress works, or is she assuming that you are? 3. What did Weppner have to say about Syria and ISIS in 2013 on her radio show, or on her blog? Ha ha! Sorry, suckers! You’ll never know, because she deleted all of it from the internet. 4. You could, of course, opt to “change your congressman” and hire the woman who can’t properly format a document, and who thinks there’s a country called “Cypress”, or thinks ISIS is a “caliphate move”; that “caliphate” is an adjective, not a noun. 5. Back in the summer of 2013, the President was proposing to launch air strikes against Syria in opposition to the regime and in support of the rebels. That never came to a vote because a deal was cut whereby Assad promised to dismantle and give up his chemical weapons. However, in the run-up to that potential vote on a resolution to authorize military action in Syria, almost all Republicans in Congress opposed any such action. There is absolutely no proof that Weppner would buck the GOP, especially as a freshman backbencher. Her entire argument is ludicrous. Has it come time yet to demand that the Republican Committees distance themselves from this ignorant and morally profane freakshow? Is it too early to demand that Republicans not only reject – but condemn – her use of American martyrs as campaign props and fundraising totems? Blight. It’s a problem throughout Buffalo, WNY, and much of upstate and the rust belt. You can literally go anywhere in North America and encounter some abandoned buildings, ugly graffiti, vacant properties, and blight. But now a woman running for Congress against Brian Higgins wants to turn blight into a campaign issue. That’s literally only about half of the “to” list. Interesting, right? It’s a great way for Weppner to stoke class and racial fear and hatred. Also, it ignores and exploits the fact that Higgins now happens to represent the cities of Buffalo and Niagara Falls – places that have more than their fair share of blight. Hell, even Grand Island has that dilapidated and creepy old Dunlop office building near the north bridge. The current NY-27 couldn’t be more different from what it looked like before 2013, when it had a much larger suburban and rural component. Indeed, I’m willing to bet that the picture that Yingling sent around was not part of NY-27 before 2013. The current boundaries are also +13 Democrat, so you know, good luck. This is dumb politics and dumb campaigning. Showing off blight resulting from decades of regional economic failure isn’t relevant to Higgins’ time in office. But dumb campaigns play to dumb people and know only the lowest common denominator. You get the idea. This parody account on Twitter captures the dumb beautifully. I’ll issue a challenge to all outlets in WNY: Every single time Weppner tries to get you out to an event for free media, ask her why she scrubbed her entire web and radio history from the internet, and when we can expect to see it back online. Here is the updated compendium of Weppner posts that have appeared here since she decided to run for Congress. In terms of politics, opinions, and pronouncements, there’s hardly much difference between Weppner’s lunatic ravings and Chris Collins’ constant drumbeat of anti-middle class millionaire resentment; it’s a very fine line between WBEN caller and representative from NY-27. A few weekends ago, the Buffalo News’ Jerry Zremski picked oversome of the more malodorous parts of the Weppner mindswamp, and asked her for an interview. She declined, and agreed instead to answer via email. The result was a glorious, factual recitation of some of the things she’s promoted and said, and her weak explanations for them. (Weppner Vetted 3/24/14) Much of it surrounded her very outspoken involvement in the “birther” nonsense, questioning whether Barack Obama was born in Hawaii, or part of some half-century-long conspiracy to overthrow America. The candidate’s response to Zremski’s article was jaw-droppingly horrible. (Kathy Weppner Tries to Explain; Fails 3/25/14) I wouldn’t have believed it if I hadn’t seen it myself. The passive-aggressive whining about being on vacation, the declaration of war on the librul meediya. Among Weppner’s defenses was that she was just asking questions, like everyone else, about the birther issue, and other halfhearted denials about being part of some wider birther movement. A quick listen to an online radio show on which Weppner appeared reveals not only that she was more than just “asking questions”, she was an active believer in the lunatic rantings of the fringe dead-ender birther movement. (How Not To Be A Birther, By Kathy Weppner 3/26/14). Now, much of the information that the Buffalo News and I had been using to vet Weppner came from recordings of her own WBEN radio show, as well as materials that she published on her blog “str8talk.wordpress.com”. Up until Zremski’s article, that site was still intact. After Zremski’s piece, she began selectively deleting certain passages, such as the racist “White Guilt” article she reprinted, verbatim, without comment. Soon, she took the entire site down altogether, and redirected the url to her campaign website; it remained, however, still visible via the waybackmachine. Finally, by 3/31, her campaign had successfully petitioned Archive.org to remove her entire internet archive from its site, and we are now left with not a single piece of evidence that she ever published a blog or had a radio show. Despite the fact that she proudly touts her WBEN radio show on her campaign bio, you’ll be hard-pressed to find any lasting evidence of its existence. (Kathy Weppner: So Proud of Her Radio Program She Deleted All Evidence of It 3/31/14). All we’re left with now is transcripts of her several calls to the Rush Limbaugh radio program. Everyone knows who Rush Limbaugh is – he’s the fascist, racist, drug-addled, misogynist radio troll who spits hatred on a daily basis over the publicly owned airwaves. In 2011, Weppner called Limbaugh to vent about how people need to start attending tea party rallies, or else we’d have “nothing left”. Also, her kids are serving in the military to protect things like Chris Lee and sovereign debt. It was a quick recitation of a couple of dopey talking points generating no discussion whatsoever. (Kathy Weppner: Why Are American Troops Fighting for Shirtless Chris Lee? 4/2/14). There was the call to Limbaugh in 2009 – just a month after Obummer overthrew ‘Murrka, and Weppner threatened to go Galt because Barry and his cadres were going to just take everything anyway and give it to the lazy takers, (ostensibly the aforementioned teachers, firemen, policemen, and lazy blacks). Meanwhile, I learned that even physicians who receive Mexican medical degrees can earn a tremendous amount of money here in the United States. Weppner. What a card! (Kathy Weppner on Going Galt 4/4/14). (I posted the actual audio here on April 30th). Far be it from me to decide for you whether Ms. Weppner presents a good choice for Congress. I think her words and actions (still waiting for the return of the Str8t Talk archive!) speak for themselves. Buffalo’s own Sarah Palin, Kathy Weppner, has updated her website with “issues”. To say that these items amount to incomprehensible word salad is a wild understatement. My favorite is how guns will protect from the evil of power outages. I distinctly remember how, during the October Storm, my neighborhood devolved into a post-apocalyptic hell where roaming bands of zombies attacked homes, seeking rotten food and working powerstrips. I found that a Glock was the best substitute for a cellphone during that time. Or maybe not. Maybe everything was just fine and, to date, I’ve managed to live my life without uttering the phrase, “gosh, I wish I had a gun with me in this particular situation”. Seriously, these passages look like they were written by a 3rd grader whose parents listen to Rush Limbaugh in the car. The only things missing are flags, eagles, a Lee Greenwood soundtrack, and some patriotic emoji.